CFEngine users version their policies. It's a reasonable, easy thing to do: you just put /var/cfengine/masterfiles under version control and... you're done? What do you think? How do you version your own infrastructure? It turns out everyone likes convenience and writing the versioning machinery is hard. So for CFEngine Enterprise 3.6 we set out to provide version control integration with Git out of the box, disabled by default. This allows users to use branches for separate hubs (which enables a policy release pipeline). A build and release pipeline is how software is typically delivered to production through testing stages. In the case of CFEngine, policies are the software. Users have at least two stages, development and production, but typically the sequence has more stages including various forms of testing/QA and pre-production. Use a remote Git repository accessible via the git or https protocol populated with the contents of masterfiles. 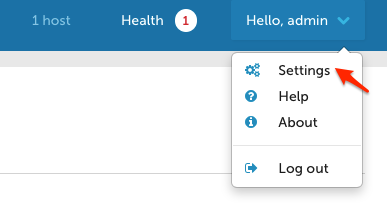 To use a remote repository, you must enter its address, login credentials and the branch you want to use in the Mission Portal VCS integration panel. To access it, click on "Settings" in the top-left menu of the Mission Portal screen, and then select "Version control repository". This screen by default contains the settings for using the built-in local repository. This is critical. When you start auto-deploying policy, you will overwrite your current /var/cfengine/masterfiles. So take the current contents thereof and make sure they are in the Git repository you chose in the previous step. This is simply commenting out one line and uncommenting another. Easy, right? You're done, from now on every time update.cf is run (by default, every 5 minutes) it will check out the repository and branch you configured in the Mission Portal VCS integration panel. Please note all the work is done as user cfapache except the very last step of writing into /var/cfengine/masterfiles. The code is fairly simple and can even be modified if you have special requirements (e.g. Subversion integration). But out of the box there are three important components. All the scripts below are stored under /var/cfengine/httpd/htdocs/api/dc-scripts/ in your CFEngine Enterprise hub. The script common.sh is loaded by the deployment script and does two things. First, it redirects all output to /var/cfengine/outputs/dc-scripts.log. So if you have problems, check there first. Second, the script sources /opt/cfengine/dc-scripts/params.sh where the essential parameters like repository address and branch live. That file is written out by the Mission Portal VCS integration panel, so it's the connection between the Mission Portal GUI and the underlying scripts. This script is called to deploy the masterfiles from VCS to /var/cfengine/masterfiles. It's fairly complicated and does not depend on CFEngine itself by design; for instance it uses rsync to deploy the policies. You may want to review and even modify it, for example choosing to reject deployments that are too different from the current version (which could indicate a catastrophic failure or misconfiguration). This script also validates the policies using cf-promises -T. That command looks in a directory and ensures that promises.cf in the directory is valid. If it's not, an error will go in the log file and the script exits. NOTE this means that clients will never get invalid policies according to the hub. If you want to make manual changes to your policies, simply make those changes in a checkout of your masterfiles repository, commit and push the changes. The next time update.cf runs, your changes will be checked out and in minutes distributed through your entire infrastructure. To conclude, let's summmarize the benefits of versioning your masterfiles using the built-in facilities in CFEngine Enterprise. supports Git out of the box and, with some work, can support others like Subversion, Mercurial, and CVS. When running CFEngine Enterprise in a large-scale IT environment with many thousands of hosts, certain issues arise that require different approaches compared with smaller installations. With CFEngine 3.6, significant testing was performed to identify the issues surrounding scalability and to determine best practices in large-scale installations of CFEngine. Moving the PostgreSQL database to another physical hard drive from the other CFEngine components can improve the stability of large-scale installations, particularly when using a solid-state drive (SSD) for hosting the PostgreSQL database. The data access involves a huge number of random IO operations, with small chunks of data. SSD may give the best performance because it is designed for these types of scenarios. Important: The PostgreSQL data files are in /var/cfengine/state/pg/ by default. Before moving the mount point, please make sure that all CFEngine processes (including PostgreSQL) are stopped and the existing data files are copied to the new location. The splaytime tells CFEngine hosts the base interval over which they will communicate with the policy server, which they then use to "splay" or hash their own runtimes. Thus when splaytime is set to 4, 1000 hosts will hash their run attempts evenly over 4 minutes, and each minute will see about 250 hosts make a run attempt. In effect, the hosts will attempt to communicate with the policy server and run their own policies in predictable "waves." This limits the number of concurrent connections and overall system load at any given moment.